Superdry women’s Lara embroidered lace top. A delicately sheer long sleeve top with a cami under piece. This top features a subtle all over spot pattern and embroidered flower design around the neckline. 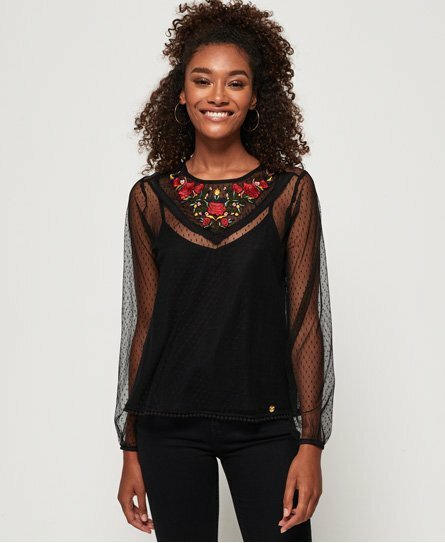 The Lara embroidered lace top is completed with elasticated cuffs and a small Superdry logo badge above the hem. Pair this with a skirt and heeled boots for the perfect evening look.